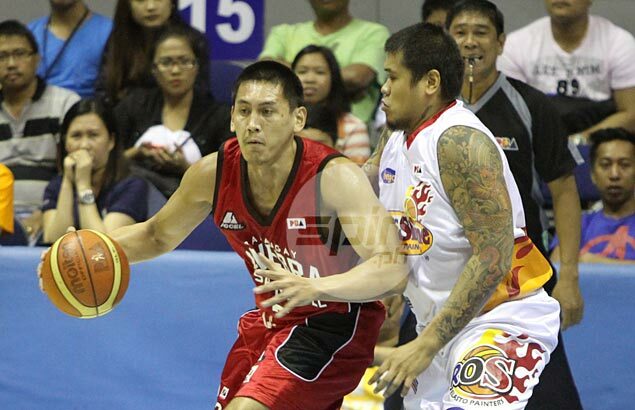 BARANGAY Ginebra has traded reserve big man Billy Mamaril to Barako Bull for Dave Marcelo, completing the deal right in Frankie Lim's first day of practice as coach of the PBA's most popular ballclub. Lim, who took over from Ato Agustin after the Kings' exit in the Commissioner's Cup quarterfinals, talked to Mamaril about the trade before starting practice Monday at the seventh-floor gym of the CCF building in Pasig City. Mamaril immediately left the Ginebra practice after the talk with Lim. The one-on-one trade was the second consummated by Ginebra since news of Lim's appointment leaked out. The team also traded rarely used reserves James Forrester and Dylan Ababou for Barako's first-round pick in 2015. Curiously, Marcelo played for Lim in the San Beda Red Lions teams that won four NCAA championships before he was drafted 12th overall by Barako Bull from the 2012 rookie pool. On the other hand, Mamaril, son of former Ginebra center Romy, has been with the Kings since 2010 but has lost his place in the team's frontcourt rotation following the arrival of Greg Slaughter and Japeth Aguilar. The 34-year-old's minutes dipped further following the arrival of Dorian Pena in a trade.